The BAE 312A Single Channel Microphone Preamplifier is equipped XLR connectors on the back for mic input and output and phone jack in front for direct input. 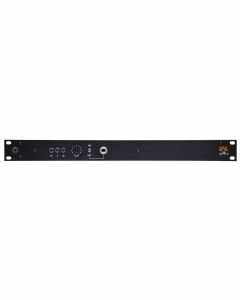 The 312A is available as a 500 series module or a single or dual channel 19" rackmount. Because there are no capacitors in the audio path, the 312A is super fast and punchy, allowing transients to pass easily, making them a favourite for drummers. Made with the highest quality parts including Jensen input and output transformers and the Avedis® 1122 opamp. The 312A also includes a high impedance DI for instruments. Made with the highest quality parts including Jensen input and output transformers and the BAE 2015 opamp. The 312A also includes a high impedance DI for instruments.